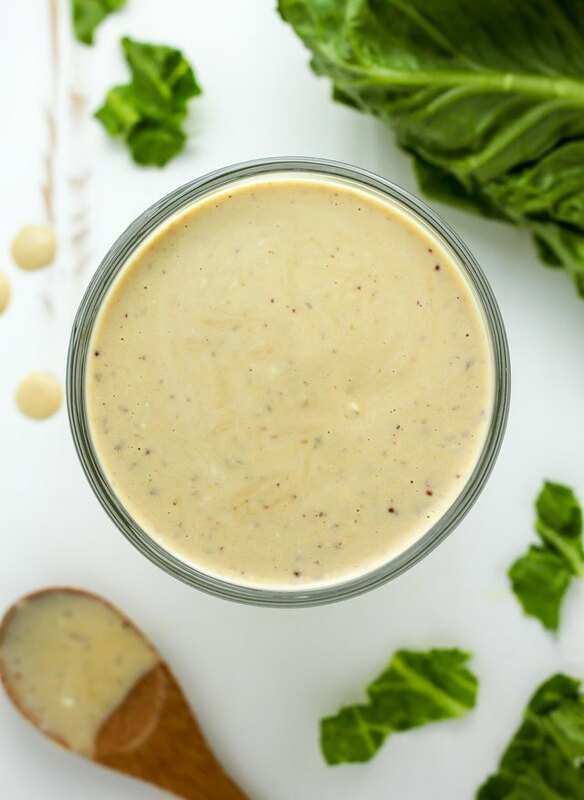 This simple recipe for Caesar salad dressing uses a straightforward method and basic ingredients you may very well have sitting in the pantry. 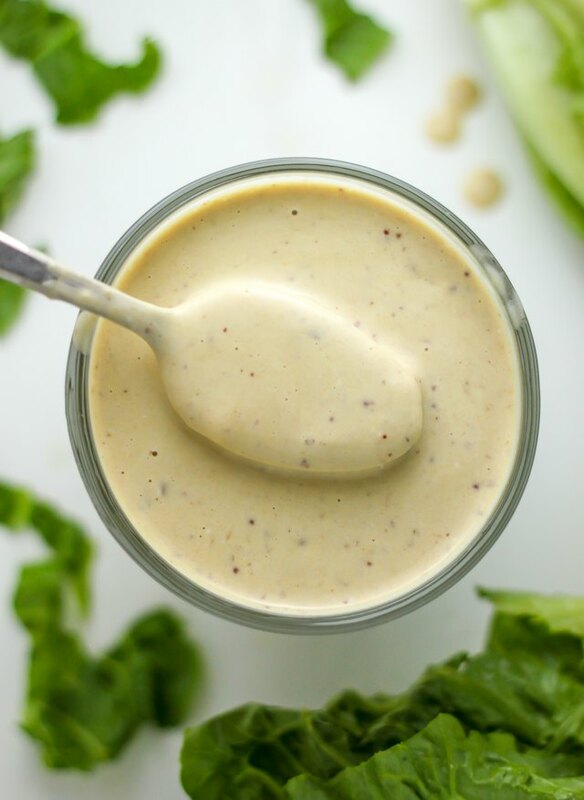 This recipe yields about 1 cup of dressing, but feel free to double or triple the ingredients if you need a large batch. 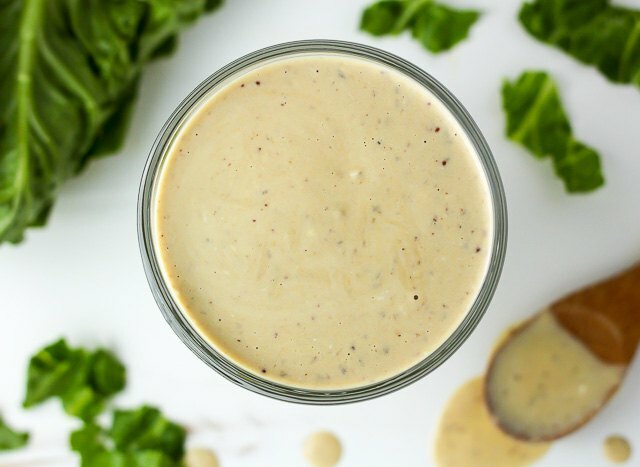 If you prefer to not use egg yolks, simply substitute 2 Tablespoons of mayo, sour cream, or even Greek yogurt. If you don't like anchovies, simply leave them out and increase the Worcestershire Sauce to 3 teaspoons. 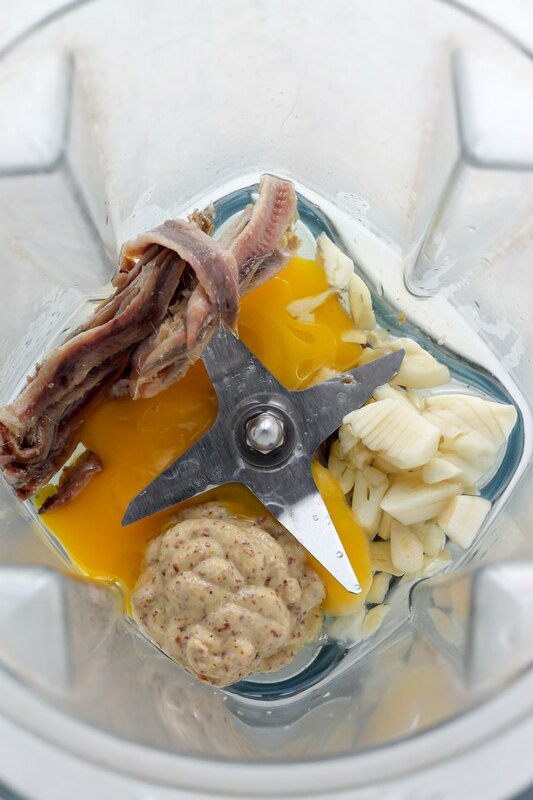 In the body of a small blender or food processor combine the garlic, anchovies, Dijon, and egg yolks; pulse until smooth. 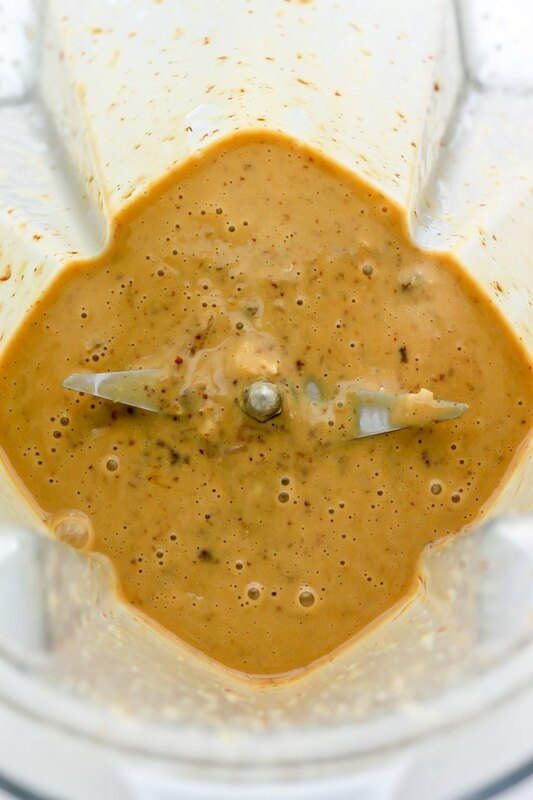 The mixture will look like a thick paste. Add the remaining ingredients; pulse until smooth. Transfer dressing from processor into a small jar or bowl. Keep dressing covered, in the fridge, until needed.